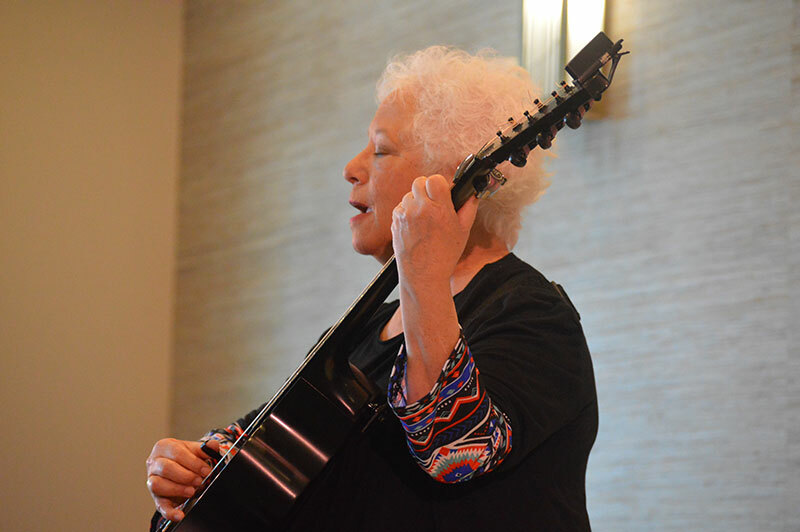 Singer-songwriter Janis Ian holds a note Jan. 31 during her lecture and performance at the Waterline Marina Resort & Beach Club, 5325 Marina Drive, Holmes Beach, as part of the 2019 Friends of the Library Lecture Series. 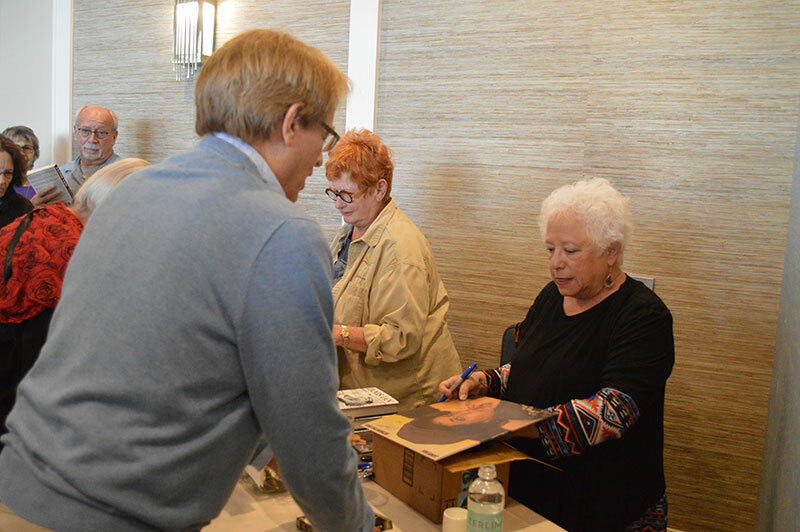 Janis Ian autographs a record album cover Jan. 31 for Benjamin Keevil of Bradenton, while Ian’s wife, Patricia Snyder, sells copies of Ian’s books at the reception following Ian’s performance at the Waterline Marina Resort & Beach Club, 5325 Marina Drive, Holmes Beach. 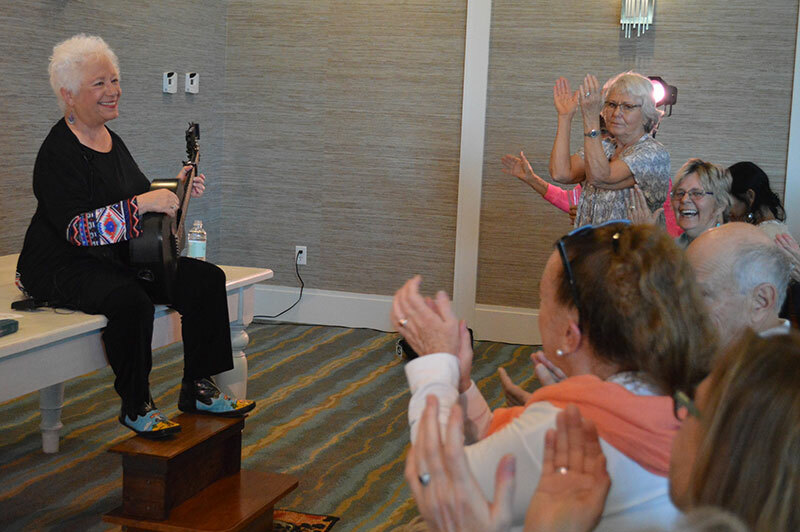 “I think people can really relate to the themes in her music,” Keevil said of Ian. Tests are done and it’s time for driving real pilings for the Anna Maria City Pier. 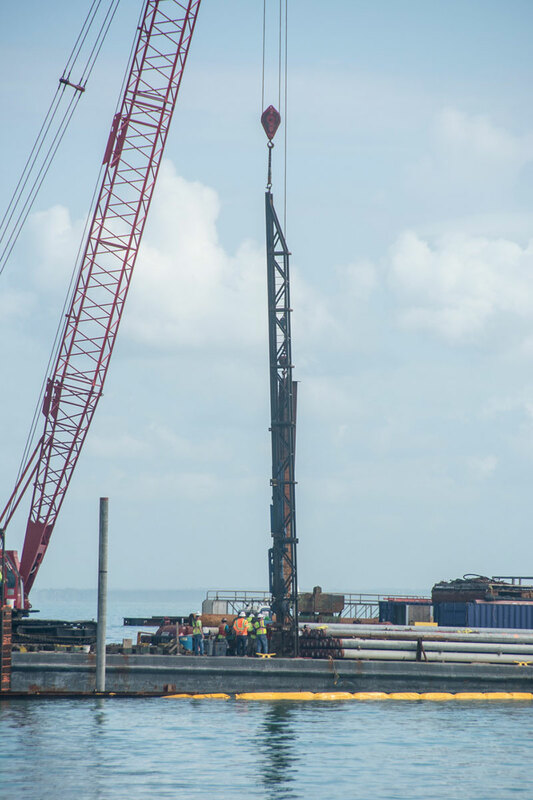 Workers from i+iconSOUTHEAST completed driving test pilings in Tampa Bay Feb. 1 and began driving real pilings Feb. 2, according to Mayor Dan Murphy. “They’ll probably have five or six pilings done by the end of today,” Murphy said Feb. 2 by phone. According to pilebuck.com, contractors drive test pilings to get a feel for how much force must be used to penetrate the sediment below, how fast piles can be driven and how much pressure to use while pile jetting. Water-jetting creates a hole by forcing water under the piling, displacing the sediment below. Murphy said Icon would be using a mixture of drill and jet driving to install the piles. While jetting is faster and more cost effective, driving piles can result in more stability. “It the weather is smooth, the bay isn’t choppy and they don’t run into any technical complications, it looks like they’ll be able to drive about seven pilings a day,” Murphy said. More than 200 pilings will be used for the new pier, according to Murphy. 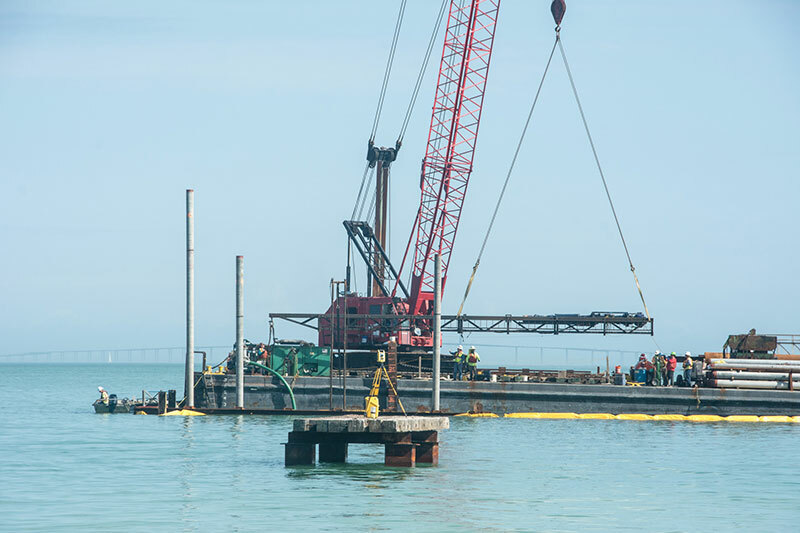 The city’s $3,332,837 contract with Icon requires the contractor, with good weather, to complete the construction of the pier walkway and T-end by Aug. 26, or pay a $975 penalty for each subsequent workday. Holmes Beach charter review commissioners are evaluating the charter official’s positions as they relate to the current form of government. Charter officials include the city clerk, treasurer, city attorney and human resources officer. At a Jan. 31 CRC meeting, Mayor Judy Titsworth spoke to the board about job descriptions in the charter and said she is seeking a director of development services — a new position for a new city department — to assume some duties the charter prescribes to the building official. The charter states the building and public works departments are under the direction of the building official. “That is virtually impossible today,” according to Titsworth. She said the task of a building official is to implement Florida building codes and serve as building code administrator, which does not necessarily qualify the official to direct community development, or short-term and long-range plans for roads, mobility and related policies, as is currently called for in the charter. “We’ve gotten so many complaints from the lack of responsiveness in that department, when you can’t expect a building official to carry that weight,” she said. She said a new director of development services would oversee the existing departments, including recruitment, employment and evaluation of the planning, zoning, code compliance and public works departments, as well as supervise staff, including the building official, code compliance supervisor and public works department. “There is real value in these being managed by a qualified director that is a leader, who has vision for the future, with sustainability, clean air and perils of flood,” Titsworth said. She said there is $92,000 in the 2018-19 budget to pay a supervisor, including the salary for a plans examiner who resigned shortly after she took office and has not been replaced, and funds budgeted for a new permit technician position she chose not to fill. The position is being advertised. Titsworth added that while there has been significant discussion about changing the city form of government to include a city manager, no one has addressed the need for development services. 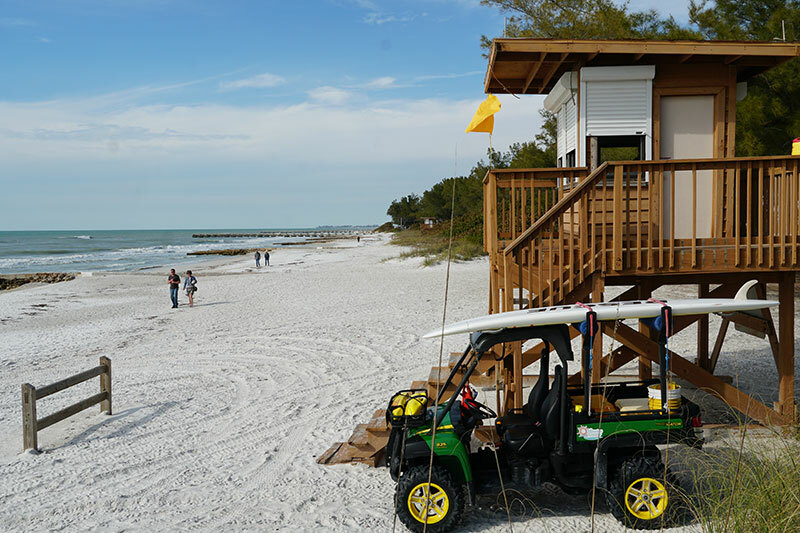 Anna Maria and Bradenton Beach do not have development services departments or heads. Regarding changes to the existing charter positions, Titsworth said the descriptions, which were expanded in 2014, should be trimmed down. She said there is too much language that does not belong in the charter and could be constraining for the positions. City treasurer Lori Hill also told the committee the charter job descriptions are too detailed, which could be problematic. “It ties our hands,” she said. Additionally, Titsworth said the human resource analyst should be removed from the charter, as it is not a vital component of the government. 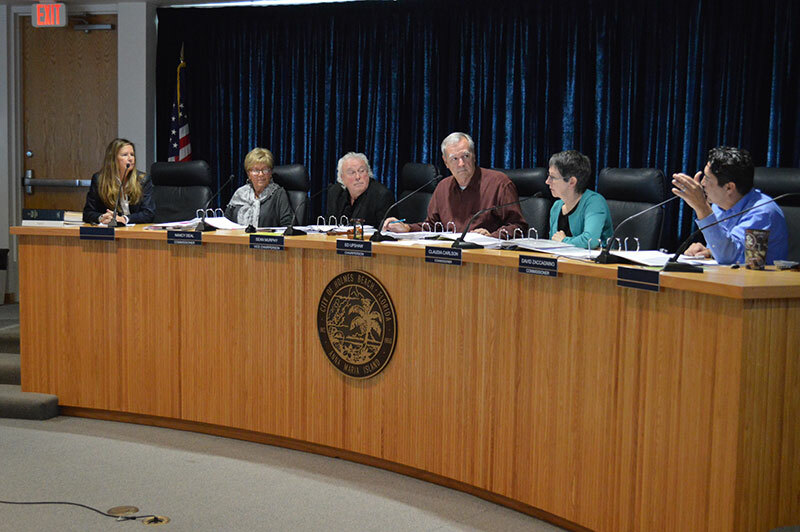 Charter changes approved by the supermajority of the committee are submitted to the city commission as an ordinance, and the commission votes to provide the ordinance for a citywide vote on the November ballot. City attorney Patricia Petruff said she would prepare and review the ordinance for the ballot with the Manatee County Supervision of Elections. The CRC will meet at 1 p.m. Thursday, Feb. 7, at city hall, 5801 Marina Drive, for a teleconference with Florida League of Cities representative, Lynn Tipton. 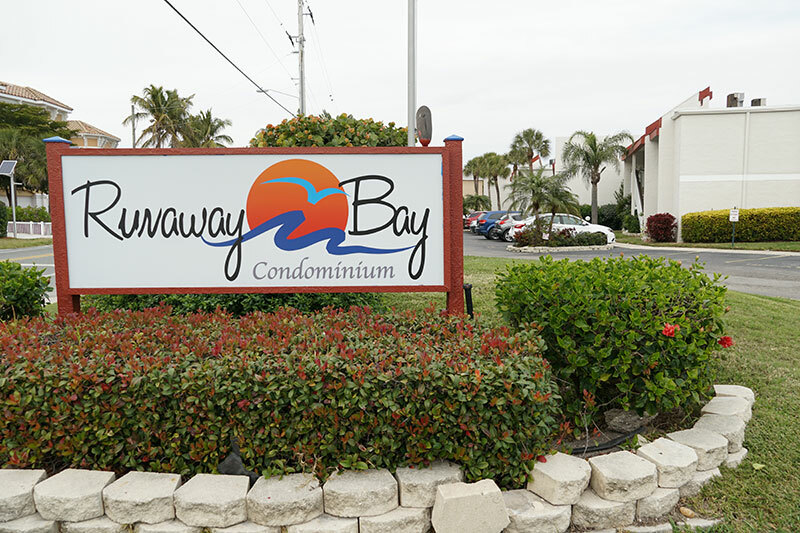 A string of vehicle burglaries hit the Runaway Bay condominium complex in Bradenton Beach. Owners of a 1999 Saturn, 2009 Cadillac, 2013 Lexus and 2013 Ford reported their vehicles were entered by an unknown person or persons while parked outside the condos in the 1800 block of Gulf Drive North Jan. 7-10. The owners found glove compartments and consoles rummaged through, papers strewn and items stolen, according to Bradenton Beach police reports. Reported missing from Saturn was a computer keyboard, headset and travel sack valued at $265. From the Cadillac, car keys and a military pin, having an estimated $60 value, were taken. The Cadillac’s owner told police she heard a bang at 1:30 a.m. Jan. 8 but didn’t investigate until the morning. A $10 wallet containing credit cards was stolen from the Lexus. The Ford’s owner reported a missing AAA emergency kit valued at $20. In each burglary, the vehicle had been unlocked, according to Bradenton Beach Police Detective Sgt. Lenard Diaz, who said Feb. 1 that no suspects had been identified in the January string. Burglars also struck beach parking lots in mid-November 2018. Six smash-and-grab beach burglaries were reported at Coquina Beach in Bradenton Beach and Bayfront Park in Longboat Key Nov. 14-19, 2018 — with purses and other valuable left visible in the vehicles. Diaz said he is pursuing leads in the November burglaries. Longboat Key Detective Lt. Robert Bourque, also working on the police investigation, said Diaz is closer to cracking the November case. “The biggest thing is locking your vehicle — it’s pretty simple,” Diaz said. Also important is not leaving valuables on the seats and floorboards, he added. “You have to think. You’re on an island with vacationers, and burglars are going to find that attractive,” Diaz said. Anyone with information is encouraged to call Bradenton Beach police at 941-778-4766 or to report anonymous tips, call CrimeStoppers at 1-866-634-TIPS (8477). 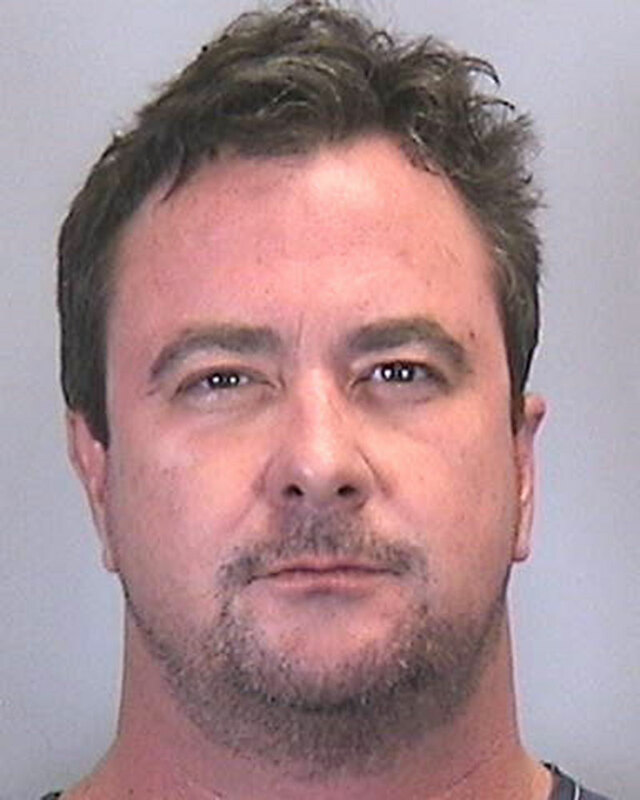 More than 68 grams of candy gummies and worms containing THC, the active ingredient found in marijuana — were found in the vehicle of a 47-year-old Bradenton man arrested in Holmes Beach. Holmes Beach police arrested Michael Burke-Phillips, 47, at 12:25 a.m. Jan. 14 for a fourth or subsequent offense for driving under the influence after he failed to stop at flashing red light at Manatee Avenue and Gulf Drive. Burke-Phillips was swerving as he drove south on Gulf Drive in a 2006 Lexus before officers pulled him over, according to the HBPD report. The officer reported the driver had a package of food, which was later determined to be THC candy. The THC candy, weighing 68.3 grams, was found inside the vehicle during a police search prior to it being towed. 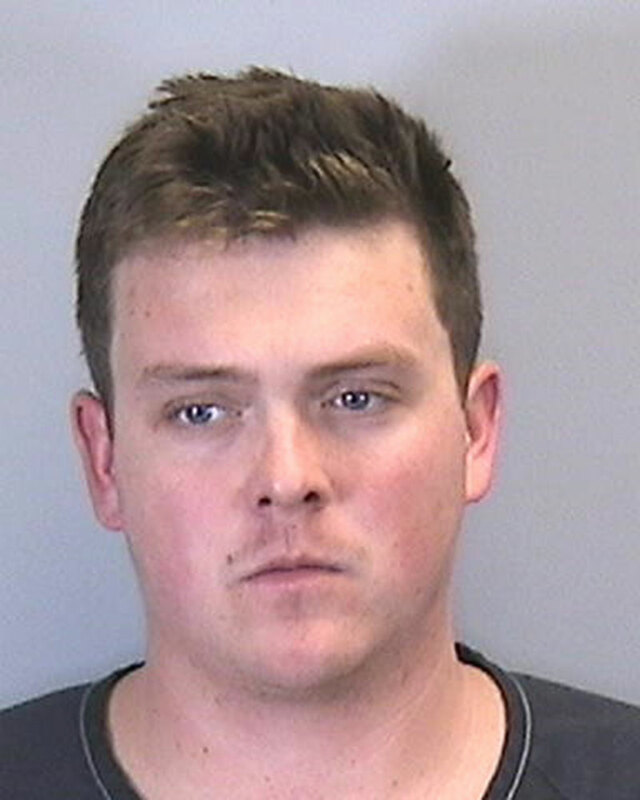 Burke-Phillips performed poorly on the roadside sobriety test and was transported to Manatee County jail, where he gave breath samples measuring 0.184 and 0.186 blood alcohol content, according to the HBPD report. Burke-Phillips posted $3,000 in bond and was released from jail. His court arraignment is set for 9 a.m. Friday, Feb. 15, at the Manatee County Judicial Center, 1051 Manatee Ave. W., Bradenton. 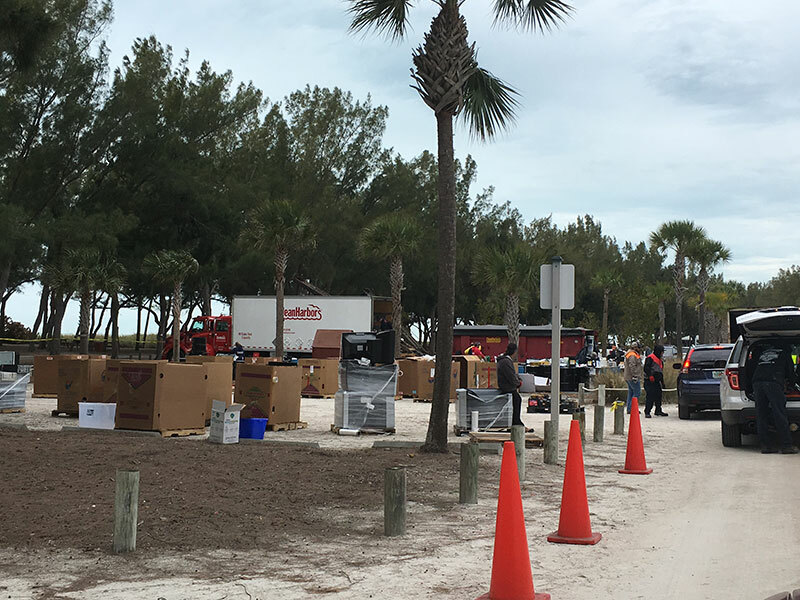 Recreational vehicles parked on Gladiolus Street in Anna Maria are gone, but uncertainty surrounding code enforcement lingers. Two RVs were parked along the street, with one hooked up to electricity and water outside 250 Gladiolus St. and another parked in the right of way across from 610 Gladiolus St. despite being reported to the city in October 2018. Code prohibits parking RVs or trailers on a right of way between sunset and sunrise. The owner of the RV at 250 Gladiolus St. said he left it to charge while vacationing in Bonita Springs, according to Angela Albrecht, code enforcement administrative assistant until her discharge Jan. 24. Code enforcement manager Debbie Haynes had told the owner the RV could remain until Jan. 27, according to Albrecht. An inspection was scheduled Jan. 28 to ensure removal of the RV. The RV parked across from 610 Gladiolus St. is registered to the owner of a home at 610 Fern St. Haynes wrote in an email Feb. 1 the owner was notified of the violation and told to remove the RV from the right of way by Jan. 27, and the owner complied. 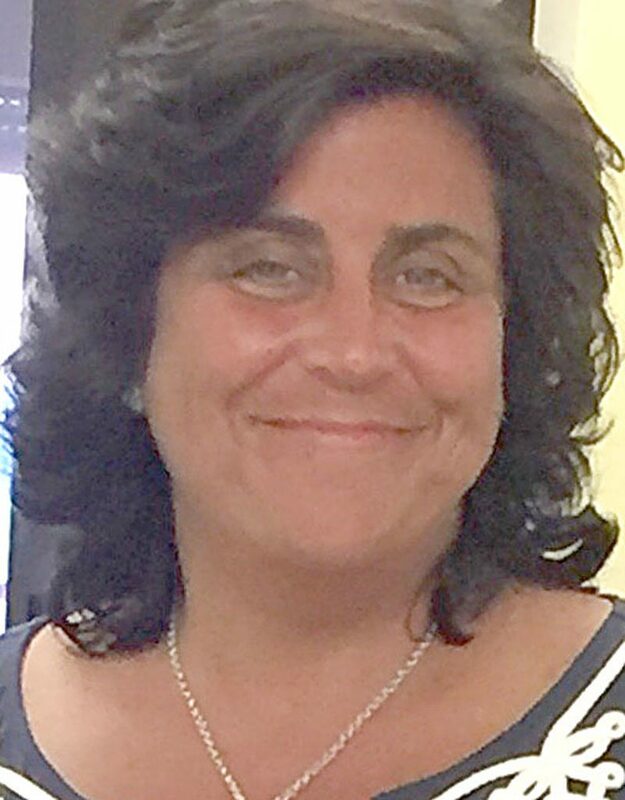 Albrecht told The Islander she was sent to investigate the vehicles in January but was hesitant to issue citations based on her interpretation of the city code. Only sheriff’s deputies patrolling overnight can issue such citations, according to Albrecht. Two anonymous complaints were made — an email to code enforcement Oct. 23, 2018, and an email to Mayor Dan Murphy Nov. 4, 2018. However, Jones said the complaints were not reported to him. He said it was Albrecht’s responsibility to deal with the RVs. Murphy also disagreed with Albrecht’s interpretation of the city code.